You may ask yourself why I chose the photo above for the second installment of the “Down the Path” series, especially as it most likely seems to have nothing to do with the beginning of the Prayer of St. Ephraim. The answer is quite simple and yet full of good and of God, and really quite full of the prayer. The happy couple pictured above are my dear friends J. & M. For the sake of staving off any future lawsuit, and for the practical purposes of this story, I will refer to them only as J. & M.
I have known J. my entire life. We are 7 months apart in age and grew up together in the same small rural town. Our parents were dear friends and we were all a part of the same church. Needless to say, we spent a great deal of time together, both during the week at school and on the weekends at church. And when we graduated high school we both chose to attend the same small theological school in Indianapolis, and so we moved there at the same time. We shared many an adventure together, from building poorly made log forts in the mud as children to hiking a small section of the Appalachian Trail as young men. Over the years we’ve laughed together, cried together, lived together, and we continue to share our lives despite the vast distance that now separates us. Growing up together there was a certain point in J.’s life where he began to make a series of decisions that would ultimately lead him down a very dark and dangerous path. By the time we were Juniors in high school, the friend I had known all of my life had become a very different person. Drugs, alcohol, and peer pressure had begun to take their toll and J.s walk down his own path was taking a turn in which I could not follow. We remained good friends, and while the chemicals were making my friend a different person, there was still a great deal of the good man I’d always known there. He was still kind, generous, funny, and a joy to be around. Above all he still desired a relationship with God and at times bemoaned his addictions. By the time we had graduated and moved to NapTown J’s addictions were well rooted and a part of everyday life for him. After the first couple of years in the city, he, my brother, our friend S. and I all moved in together into what was to become the world renown “Bachelor Pad of Glory” (R.I.P.) 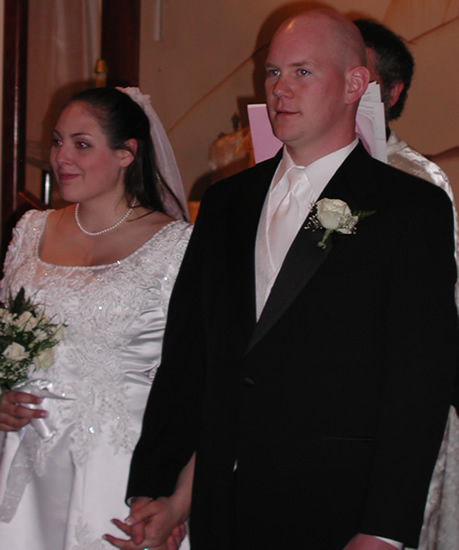 My brother and our friend S. both ended up meeting their soul mates and getting married shortly thereafter. J. and I continued on in the grand tradition of the BPOG and J.’s life of addiction continued. He worked the same job faithfully for many years and despite his entrapments, continued to be the same kind, compassionate person who longed to be free and still desired God. However, day by day, week by week, month by month he slowly became worse. The man that was J. was slowly being replaced by a different man. My friend was fading and someone else was surfacing. It was at this point that many of his friends began to confront him about his addictions. There were many attempts at detoxification and many emotional men’s groups where souls were bared and all those who loved J. did their best to persuade him to change his life. J. tried to the best of his ability but to no avail. In the meantime his friends continued to find their soul-mates and get married and begin new lives as husbands, myself included. J. always longed to find his true love, but with a life full of love for something else, there was little room for a wife. Finally, in a last ditch effort to reach out and hold on to our quickly fading friend, another friend and I suggested to J. that he ought to leave and pursue a year long stay at His Mansion, a place in the mountains of New Hampshire, where he could learn to live without his addictions and begin with a clean slate – away from the dealers and the old “associations” of NapTown. After a few months of indecision and checking things out, J. finally agreed to go of his own accord. 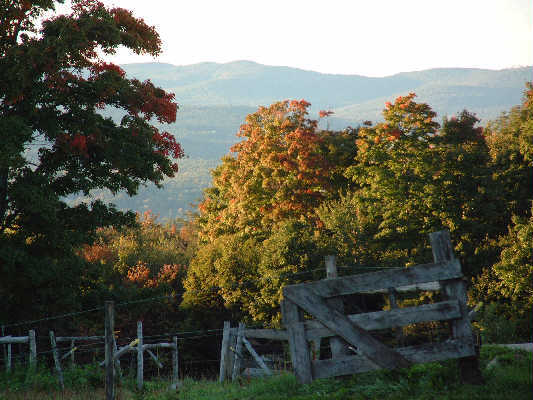 My wife and I agreed to sponsor him during his tenure at the farm, and we gladly drove him there and spent a couple of days in the beautiful New England mountains with him. It was the beginning of October and the countryside was ablaze with color. In retrospect this was one of the most difficult trips I think I’ve ever had to make. Amidst the beauty of the leaves and landscapes, I was taking my oldest friend away and unsure if he would ever return. In many ways I was saying goodbye and at the same time praying with all I had to God that J. would be restored. That was nearly 5 years ago. J. went through the year long program and graduated a different man. As his sponsor I was asked to be present at his graduation and was overjoyed at the changes I witnessed when I arrived there. (I made a small blogpost here about it at the time which you can read if you like.) He had taken full responsibility for his choices and I saw my old friend for the first time in many years. He was once again full of peace and in a way, more content than I had ever seen him. After some conversations with me and a few others, he decided that NapTown was too full of the “old things” and chose to move to Alaska to live in an intentional Orthodox community there. It was there that he would be chrismated into the Orthodox Church, and it was there that he would finally meet his soul mate and bride. It was a happy day when I got a call from J. asking me to be in his wedding. I can remember it like it was yesterday and the joy I felt was indescribable. That is, until this past week, when I received an email from his older sister telling me that J.’s wife had delivered a healthy baby boy. I finally got to speak to the proud papa on Monday evening. I cannot begin to describe the immense feelings of joy and elation that I experienced just talking to J. about his new son. At many points in the conversation my eyes began to fill with tears. At one point he asked me, “Do you want to hear him cry?” My immediate response was, “Well don’t make him! But yeah, I would!” Hearing that newborn cry and listening to J. soothe him will remain with me for the rest of my life. There was a time when I thought J. would end up dead or deranged. There was a time when my friend was nearly unrecognizable. There was a time when J. being a father was indeed an impossible and frightening thought. That time is long gone and a good man changed by the grace of God is what remains. A good husband. A good father. A good testament to what faith in God and the love of those He puts in your life can do. And that’s the important thing here – who we choose to place around us will shape and define us and help us to name what really IS in our lives. And this is precisely what the Love of God in Christ Jesus is all about – the notion that no one is ever completely lost. That even when someone seems so far gone that it is a hopeless case, even then they still bear the image of God and have the capacity to turn back to Him, and we must never give up. Ever. Congrats to the new parents:). That story about him wanting you to hear the baby cry was hilarious and made me tear up at the same time. God is so merciful, faithful, and most of all GOOD! The man pictured is a true testament of that. I am so thankful and grateful for all the steps it takes for us to know Him more deeply and clearly. Thanks for the story, Luke. Good memories. Many times I would be driving down the road and see one of the trucks and think of J and where he was. He is a good man and I missed him during those years of torture we called high school, we were friends but his true self faded with his addictions. Your story about J fills my heart with joy and how very happy I am that J has found his true self and true love with God’s help and everlasting love. Please tell him how happy I am for him and I wish him continued love and joy. Delanie – Will do. 🙂 Good to hear from you!